The other day Hazel and I were at Starbucks (a favorite place to go of ours) and we noticed the adorable cup ornaments they have for sale. 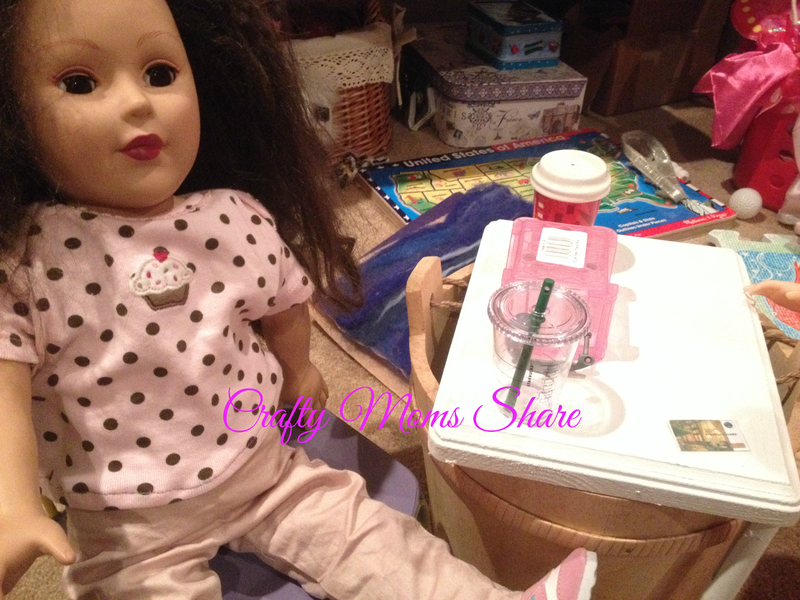 We realized they were the perfect size for the 18-inch dolls. Hazel of course had to have one, so we bought one. My plan had been to wait until after Christmas and buy her some more on clearance, however when we were at our normal store one of the managers informed me the tend to sell out quickly, so I should buy them now. We did. 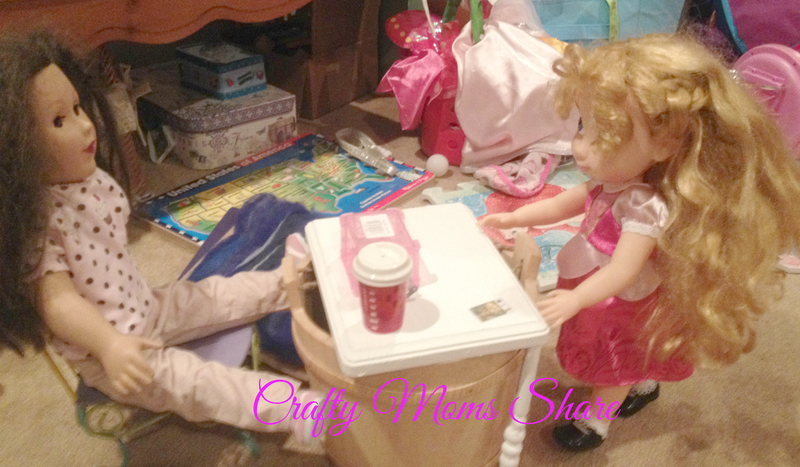 Hazel was so excited to play Starbucks with her dolls. Apparently I missed the line of dolls waiting to be served. I cut the strings off all the ornaments and tried to cut the wire loops of the hot cups. 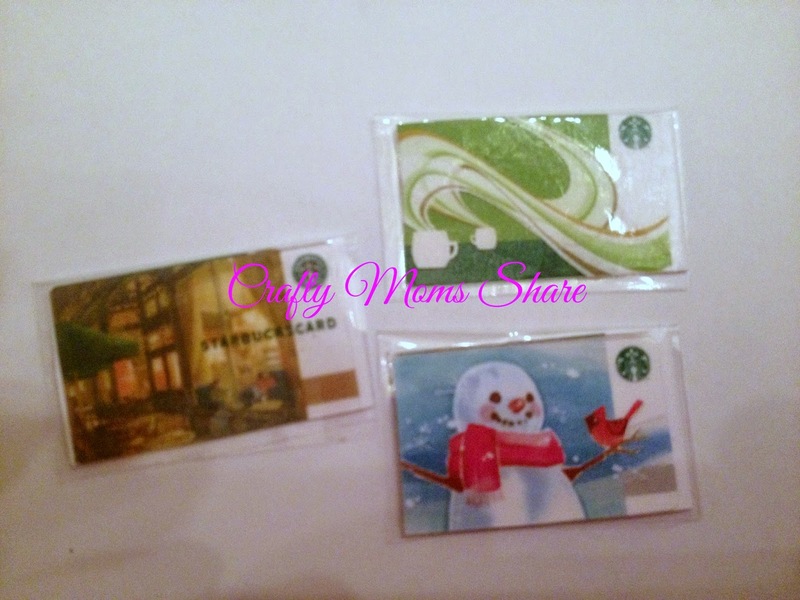 We also had paid at our Starbucks with a holiday gift card. I gave it to Hazel after I had them upload it to my phone. She was so excited. 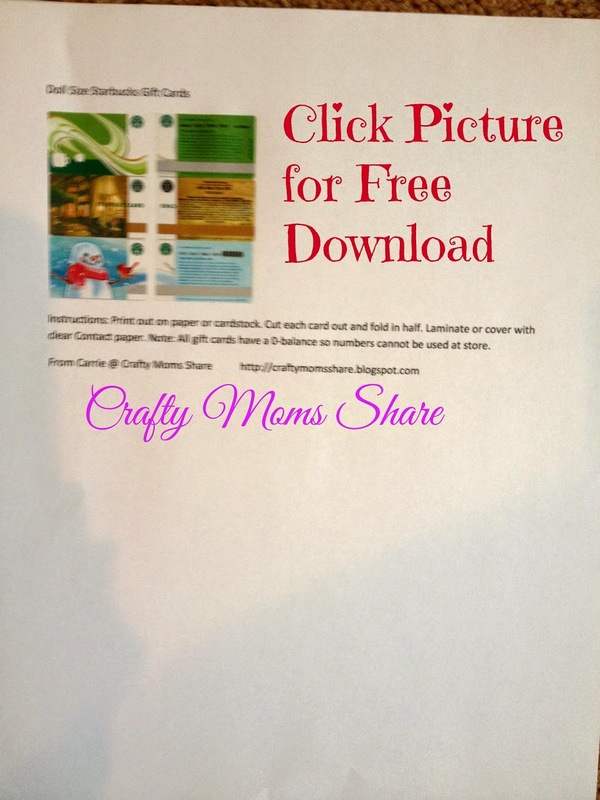 I realized I could make doll gift cards by scanning it in and we actually had a few old ones hanging around. 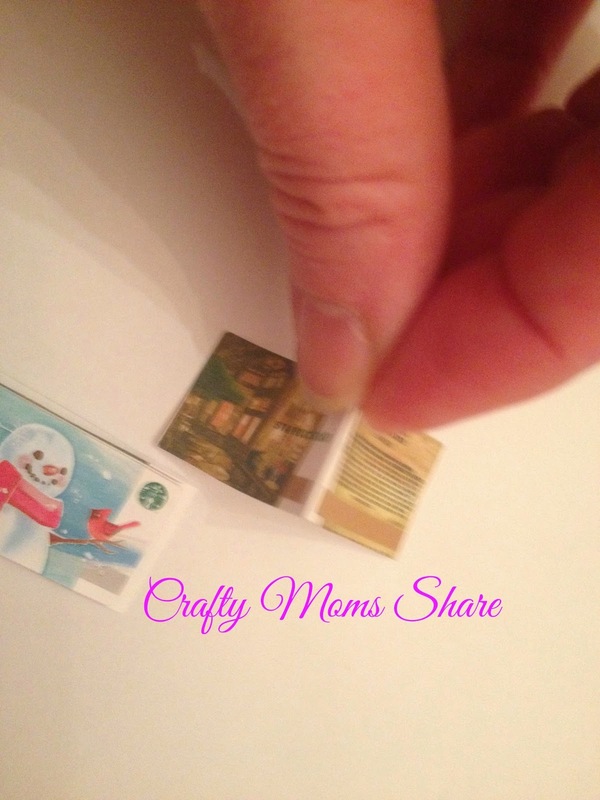 I give Hazel my old gift cards and such to play with as credit cards. 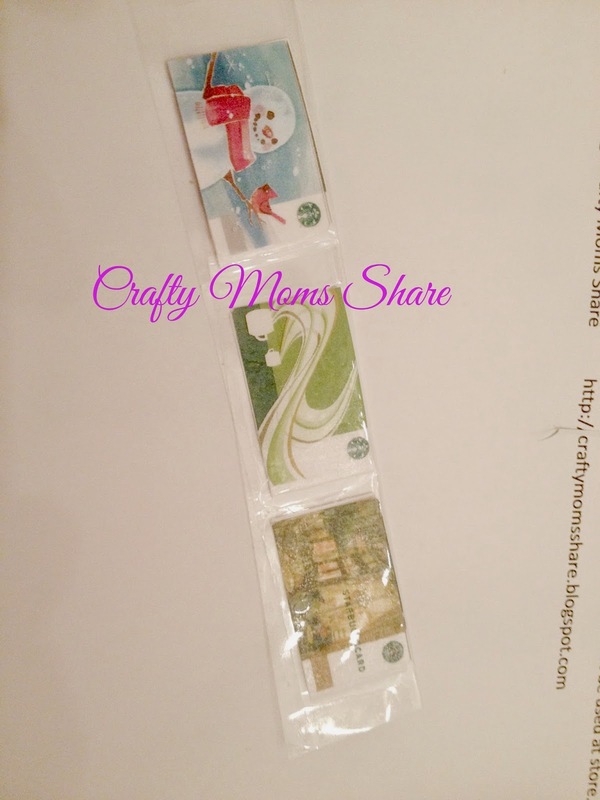 In her stash she had two more Starbucks cards. I scanned them in and shrunk them down. To make the cards, I cut them out and folded them in half. Then I "laminated" them with packing tape since I could not quickly find our clear Contact paper. Then I just trimmed the tape so they would be individual cards. 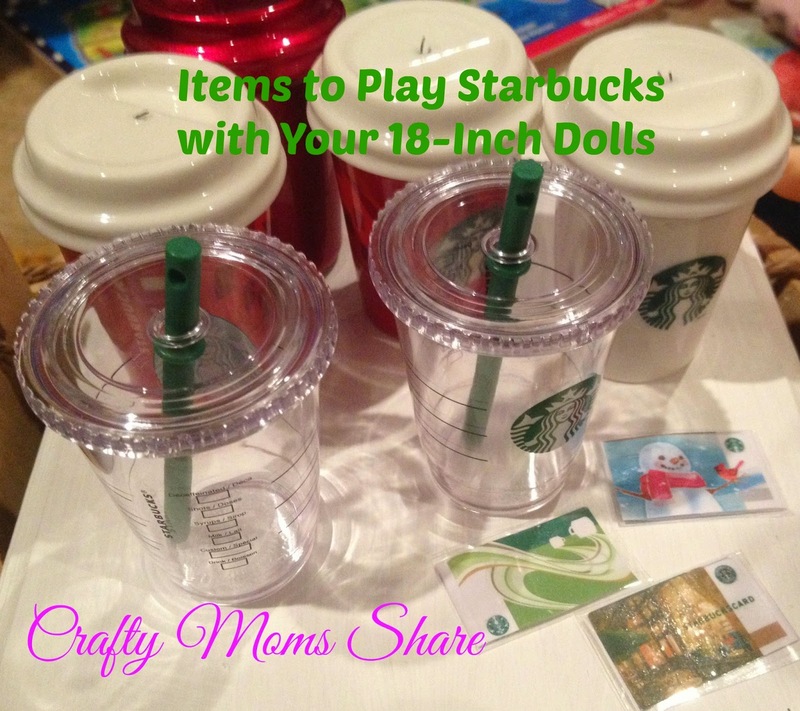 Now Hazel can play Starbucks with her dolls and they even can pay with their gift cards. She is so happy! !